The conference chairs would like to invite you all to join us for the fifth International Conference on Transdisciplinary Imaging at the Intersections of Art, Science and Culture hosted by the Edinburgh Futures Institute, that will take place on April 18th/19th/20th 2018 in collaboration with the Talbot Rice Gallery, Edinburgh College of Art and the Centre for Design Informatics. 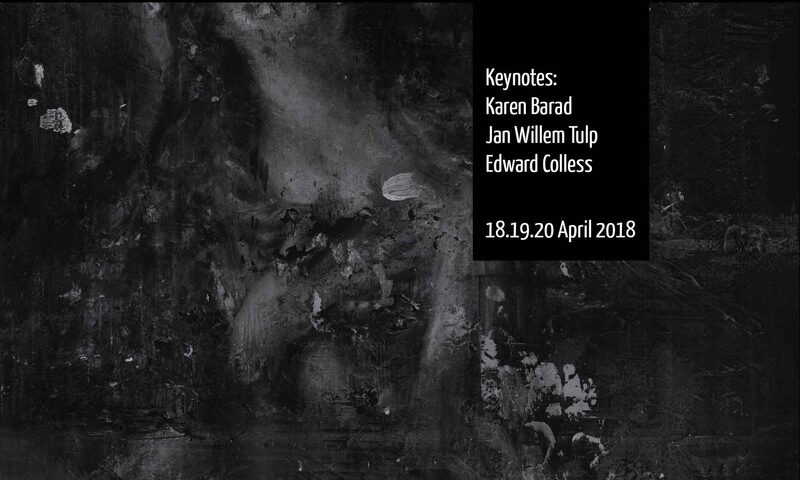 Over two stimulating days, acclaimed Keynotes and professionals including curators, historians, creative arts practitioners, critics and theorists will explore latent aspects of transdisciplinary imaging. The theme of the conference focuses on a fluidity between the seen and unseen. Understood as patterns that simultaneously freeze and transcend fleeting realities, images are bound by the paradox of being of a moment that has passed. As cultural theories seek to overcome the stable, spatial realities that image-based forms of comprehension have projected, and new technologies reshape how information is read and encoded, the latent image opens up a vital critical strand of enquiry. Originally designating the invisible atomic changes occurring in the photographic process prior to development, the latent image refers to the underlying translation and reconstitution of information that underpins all analogue and digital imaging as it negotiates with a transient reality. The liminal space between the seen and unseen being an ongoing locus of a ‘becoming’. A catalyst for debates about sonic images, invisible networks and relationships between intuition and intelligibility, this conference will raise quantitative and qualitative questions important to any discipline predicated on image production. What are the problematics of the seen? How do we measure or represent the seen? Is there a measure for the unseen? How can we make the role of intuition intelligible in the contemporary image? Do stealth technologies/distributed data/networks transcend the image? How do we represent the language of the world? Do the technologies of science help define or elide the unseen? The aim of the conference is to bring together artists, theorists, scholars, scientists, historians and curators. Papers that respond to the above provocation are invited from areas related to: Media Arts, Painting, Drawing, Curating, Installation, Film, Video, Photography, Data Visualization, Real-time Imaging, Design, Intelligent Systems and Image Science. The conference will take place across two locations at the University of Edinburgh: Talbot Rice Gallery, and the Informatics Forum. During the conference the Talbot Rice Gallery will create a special event drawing upon the concurrent David Claerbout and Rachel Maclean exhibitions, curating a series of performances and talks that restage the works and creatively explore the concept of the latent image. Early bird tickets cost £150/£65 for students and include all refreshments, two drinks receptions and a curator led tour of the Talbot Rice Gallery. Header images by Chelsea Lehmann, Tenchi, 2016, (detail) high-res digital infrared scan of painting (oil on linen, 24 x 21cm). Courtesy Ide Advanced Imaging Laboratory, Kyoto University, and the artist; Beverley Hood ‘We began are part of the body’ 2017.